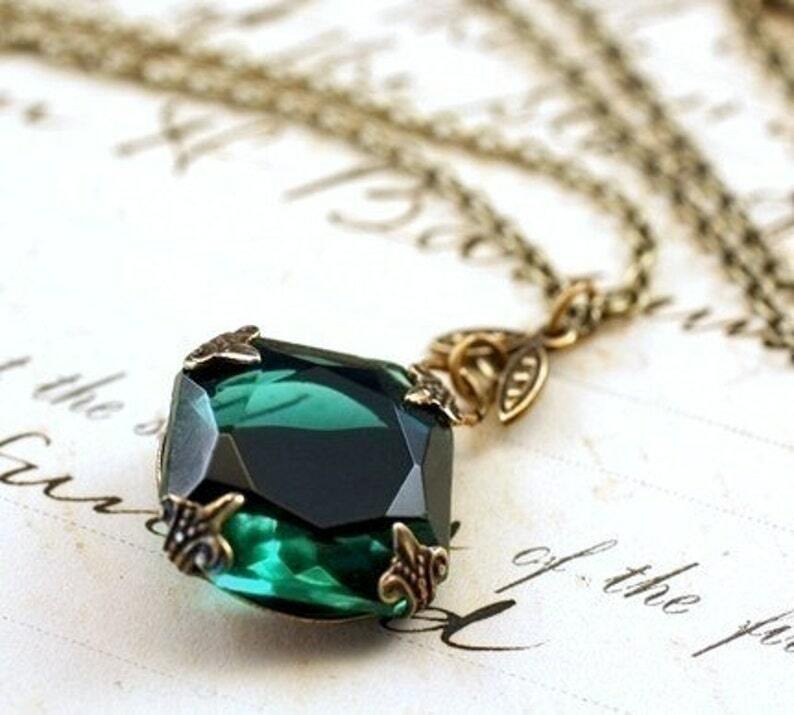 Antique style emerald green jewel necklace. Emerald green crystal jewel. The stone measures 18mm (3/4 inch in diameter). Antiqued brass or silver finish. 18 inches long. Any length is available upon request for no additional charge, just add a note during checkout! This is a beautiful necklace. It's exactly as pictured, and makes a definite statement. Thanks so much for this unique piece! Gorgeous! The seller was able to put this together and overnight it to me for a reasonable fee in just a few short hours, and I got it the next morning as I needed it ASAP for a wedding. The service alone at this shop is fabulous, not to mention the items are all adorable. Handmade but still great quality and looks like you bought it from a vintage boutique. This item is stunning and perfect. I love that it looks so classic - and it's very hard to find emerald jewelry in regular stores and even on other Etsy pages.